*Spiced vinegar is Margaret’s recipe, and involves boiling up some vinegar with some pickling spices then straining it. I don’t bother with this; rather, I add some pickling spices to the allspice/ginger mix (see below). Put the plums, onions, chillies and salt and half the vinegar into a pan. Place the allspice berries, ginger root and pickling spices onto a square of muslin, tie it up tightly into a bag and add to the pan. 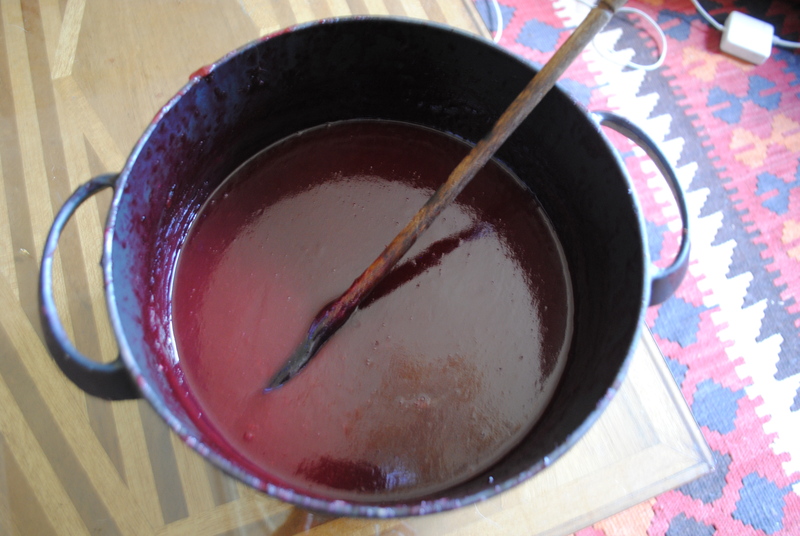 Simmer for 30 minutes until the fruit has softened and begun to break down. Margaret says to remove the muslin bag at this point, but I don’t, as I reckon the longer the sauce cooks with the spices, the tastier it will be. 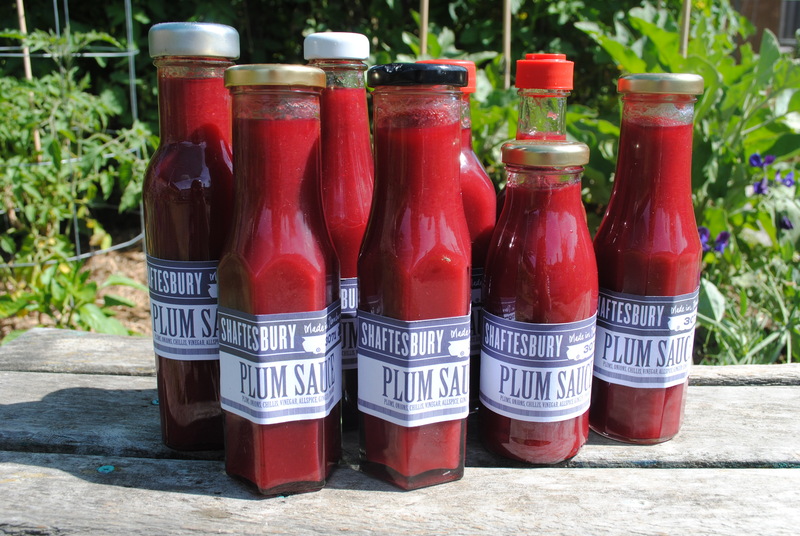 Shaftesbury Plum Sauce, thanks to our little Satsuma Plum tree and Margaret Fulton.